I love flowers in every capacity, especially receiving them as gifts. One thing I am lacking on, though, is a working knowledge of flowers based on seasonal availability and practicality as they apply to weddings and events. 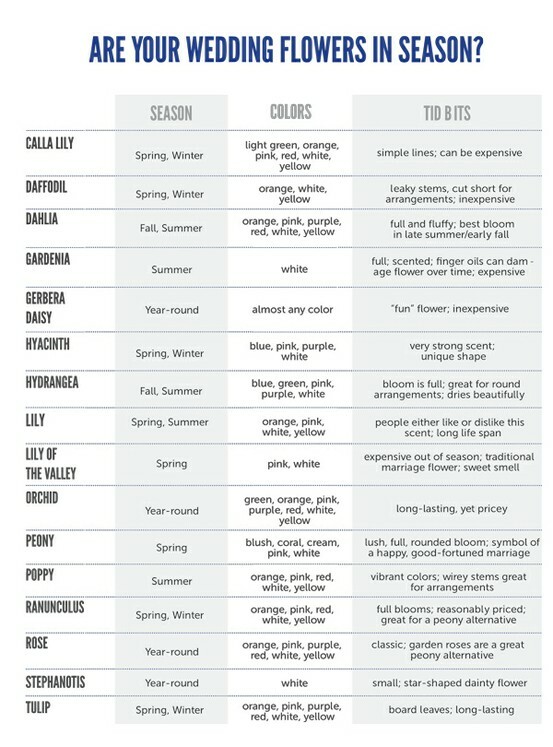 I found this amazing little cheat sheet from Bayside Bride that gives an overview of all flowers based on season, color and facts about the flower. Happy picking!